Ever wanted to try the Designmodo products and services, but perhaps didn’t have the budget? Now’s the perfect time to do it! We’re offering a 30% discount code for 7 days only. All you need to do is add your products to the cart and use the coupon code SPRING. What’s in the offer? ? Postcards: is a flexible email template builder you can use for your campaigns and newsletters. Using this tool, you can build all kinds of emails, from promotional to transactional emails. Slides: is a user-friendly and easy to use static website builder. Slides is packed with predesigned modules that help you create a custom website in just a few minutes, while online app will help you to set up and get started. This website builder has a ton of features and pre-made examples; just copy-paste them to your project! Startup: is a website builder based on a widely used framework called Bootstrap 4. This tool has an online app you can use and build a website with pre-made modules and templates. How about the Designmodo Market? You can redeem this offer in the Designmodo Market too. Here you’ll find mockups, UI Kits, icons, fonts and all kinds of other goodies you can use for your websites, applications or presentations. Are you looking to hire designers and developers? If your company needs web designers or developers you can take advantage of our sale and save 30% on Designmodo Jobs! Post your job now and start receiving the resumes. Don’t miss out our spring sale! 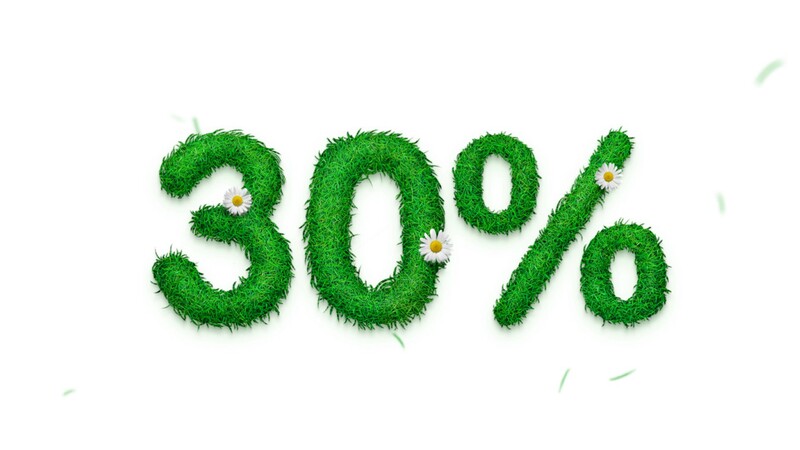 30% discount on all our products, but remember — for seven days only! Follow us on Medium, Twitter, Facebook, YouTube, and Dribbble.